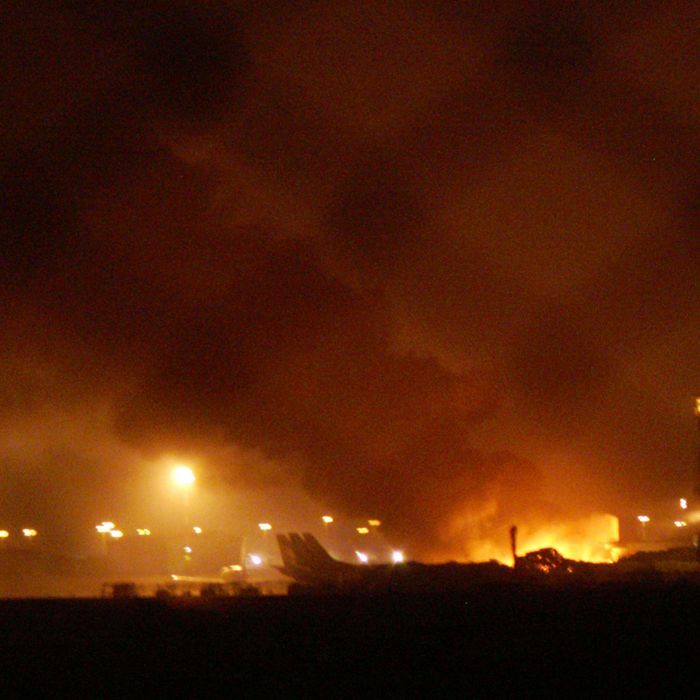 The Pakistani Taliban has claimed responsibility for a deadly attack on Pakistan’s biggest airport. The five-hour assault began on Sunday evening, when ten men, some of whom were disguised as members of the Airport Security Force, entered a terminal at Karachi’s Jinnah International Airport and opened fire with machine guns and rocket launchers. The AP reports that all the attackers also wore explosive vests, a few of which detonated when the police and security forces shot at them. Fire rose from the building, and the New York Times reports that airplanes full of passengers were stranded on the tarmac. The battle ended just before dawn, when the last of the militants was killed. At least 18 other people, including 11 actual members of the Airport Security Force and three airline officials, died.